TRU’s men’s soccer team put the rest of the Pacific Western Athletic Association on notice on the weekend of Oct. 12: they’ll settle for nothing short of a first place finish. The WolfPack shut out the Douglas College Royals 3-0 on Saturday and followed up with a blanking of the Kwantlen Polytechnic University Eagles on Sunday, 2-0. They then played a make-up match against the Capilano Blues on Monday, winning 3-1. The men are 9-2-1 through their first 12 games and lead the conference. The men will be back at Hillside Stadium to play Langara and Quest next Saturday and Sunday at 2 p.m. – the final two games of the regular season. The women’s soccer team continued its undefeated streak on the weekend of Oct. 12, winning 2-0 against Douglas College on Saturday and 5-2 against Kwantlen Polytechnic University on Sunday. The WolfPack is now 10-0-2. The women will also close out their regular season on the weekend of Oct. 19 at Hillside Stadium, with matches against Quest University and Langara College; both games are scheduled to begin at noon. Simon Fraser University once again had all the answers for the new-look WolfPack men’s hockey team on Saturday, Oct. 12, picking up the victory at home 7-4. The loss is the ‘Pack’s second in as many games and has dropped it out of the first place spot in the B.C. Intercollegiate Hockey League for the first time this season. The hockey team is scheduled to be in Castlegar on next weekend taking on the Selkirk College Saints, the newly-anointed league-leaders. The WolfPack men’s basketball team is 2-1 in its young preseason, after wins against Wilfred Laurier and Concordia of Montreal in a tournament at UBC held on the weekend of Oct. 12. TRU defeated the Laurier GoldenHawks 84-65 in the tournament’s first game on Thursday and followed up with a 79-68 victory against Concordia of Montreal on Friday. The ‘Pack’s only loss came in Saturday’s match against Concordia of Portland in which they were defeated 89-60. The men will play their next exhibition game at the Tournament Capital Centre, Oct. 19, 8 p.m., against the Vancouver Island University Mariners of the Pacific Western Athletic Association. 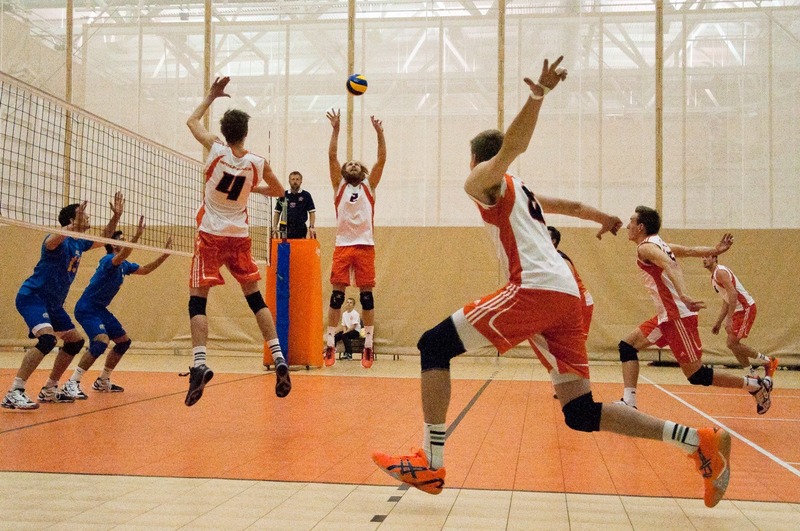 Playing host to its first tournament of the year, TRU’s men’s volleyball team took home the bronze medal. The men, who lost to Guelph (3-2), UBC (3-2), and UBC-Okanagan (3-0) in the tournament’s round-robin play, rebounded to defeat Guelph 3-0 in the bronze medal match of the four-team invitational. UBC went on to win against UBC-Okanagan in the gold medal match, 3-2. The WolfPack’s next match will be its season-opener, in Kelowna against UBC-Okanagan, on Oct. 25. The team will return home for its home-opener Oct. 26. Updated 8:15 p.m. Oct. 14, 2013.